This unique single/double bed quilt is very 70′s in colouring and whether you were born then or not the chances are you’ll love this one. 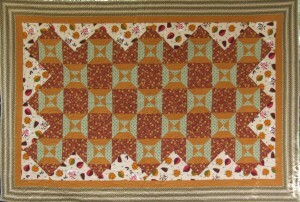 The feature fabric in the setting triangles is just alive while the other fabrics in the centre make it sing. The classy striped outer border fabric tries in vain to keep it quiet – fabulous! The backing fabric is beige with a small white spot. The whole quilt is 100% cotton luxury. 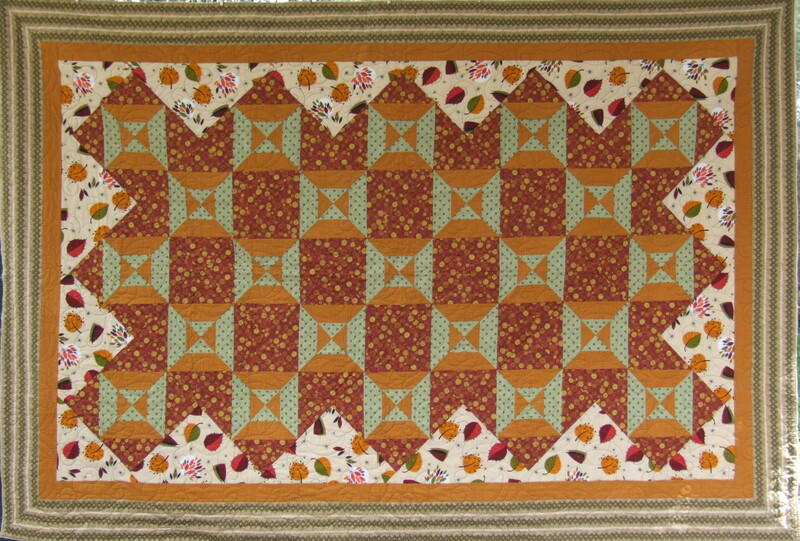 This unique single/double bed quilt is very 70's in colouring and whether you were born then or not the chances are you'll love this one. The feature fabric in the setting triangles is just alive while the other fabrics in the centre make it sing. 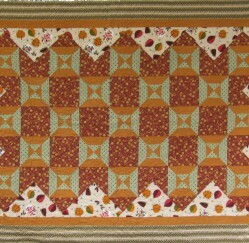 The classy striped outer border fabric tries in vain to keep it quiet - fabulous! The backing fabric is beige with a small white spot. The whole quilt is 100% cotton luxury.